Aurora, OH: Video Products Inc (VPI) is now offering two new Cable Length Testers that can determine the length of CAT5/5e/6/6a/7 cable up to 4,000 feet (1,200 meters). The Cable Length Testers can also check for wiring errors such as open circuits, short circuits and cross connections, as well as trace CAT5/5e/6/6a/7, telephone line (RJ11), coaxial (BNC) and USB cables with an audible wire tracer. One person can check both ends of installed wiring with remote and local units. The TESTER-CABLE-LG1200 Cable Length Tester can determine the length of CAT5/5e/6/6a/7 cable up to 1,200 feet (350 meters) and test these cables for wiring errors. The far end recognizer emits a prompting audio when connected to the local unit. The local unit is able to measure length and pair with or without the far end recognizer. The TESTER-CABLE-LG1200 package includes a local unit, remote unit, remote identifier, RJ45 adapter cable, RJ11 adapter cable, BNC adapter cable, alligator clip adapter cable, headset and manual. 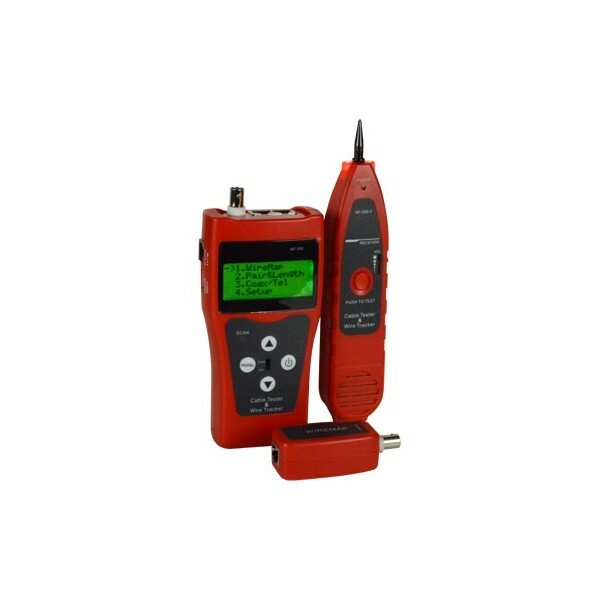 The TESTER-CABLE-LG4000 Cable Length Tester can determine the length of CAT5/5e/6/6a/7, telephone line, coaxial and USB cable up to 4,000 feet (1,200 meters) and test these cables for wiring errors. 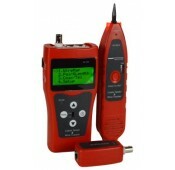 It features a dynamic calibration option that increases cable length measurement accuracy. Its package includes a local unit, remote unit, remote identifier, RJ45 adapter cable, RJ11 adapter cable, alligator clip adapter cable, headset and manual. Both Cable Length Testers consist of portable units with long battery life. They feature back-light display functions and automatic time-delay shut off for energy conservation. Their self-checking function automatically compensates for any change in battery capacity or ambient temperature, making them ideal for in-the-field testing. Available for immediate sale, the TESTER-CABLE-LG1200 costs $67 and the TESTER-CABLE-LG4000 costs $93. To find out more information, visit: www.vpi.us/c/catacc-testers-183.